Fritatta (from the word Fritto, in Italian, which means fried) is a traditional dish from Italy similar to the omelette, stocked with various ingredients: meat, vegetables and cheese. 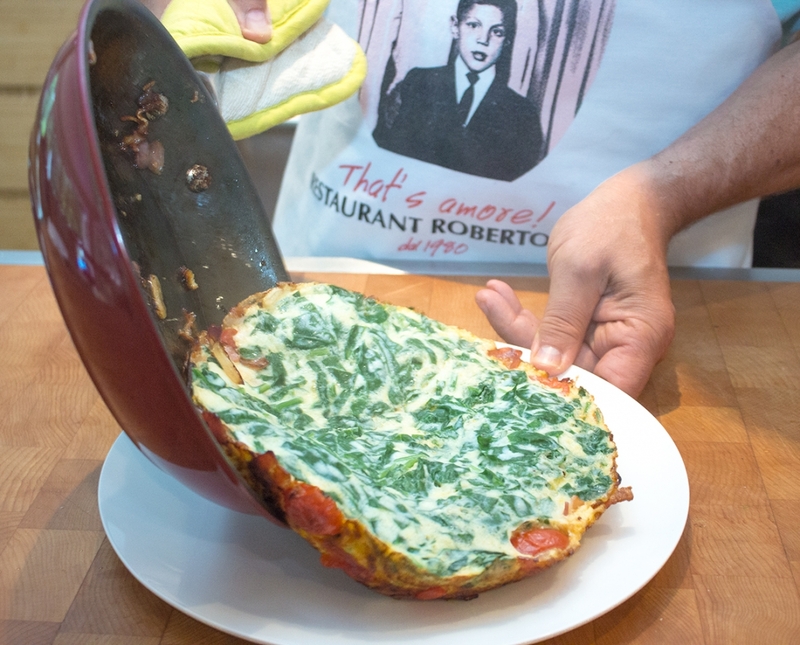 Rather than served folded as the omelette, fritatta is served open with accompaniments and seasonings placed above (as for the pizza), hot or cold as appetizer or main dish. 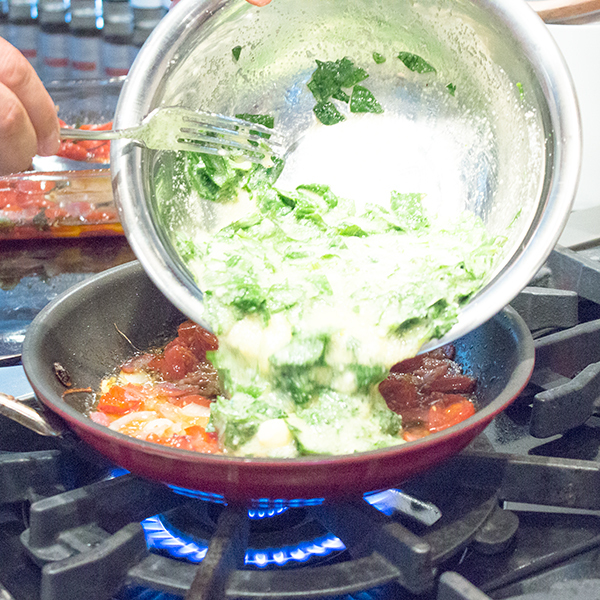 Using his delicious roasted cherry tomatoes as a garnish (view recipe); John prepares a beautiful fritatta with spinach and pancetta, topped with lemony arugula salad. Always remember that you can make your frittata using your favourite garnish, it is a versatile dish that can be suited to your taste or whatever you have in your fridge or pantry! 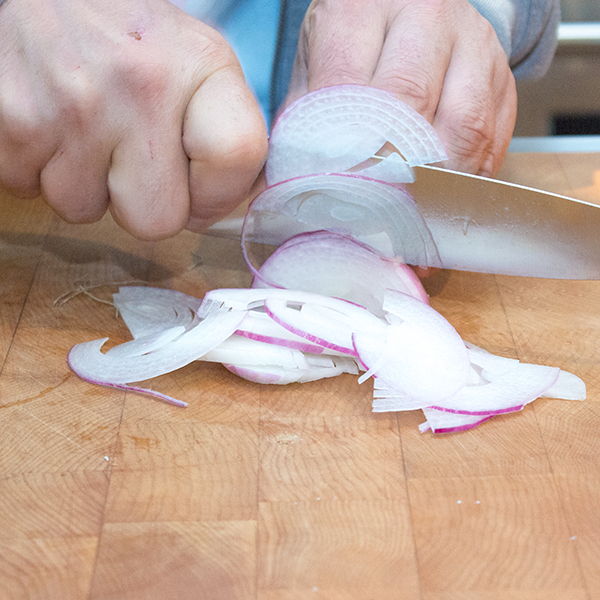 Mince pancetta and slice onion. In a bowl, break eggs and beat. 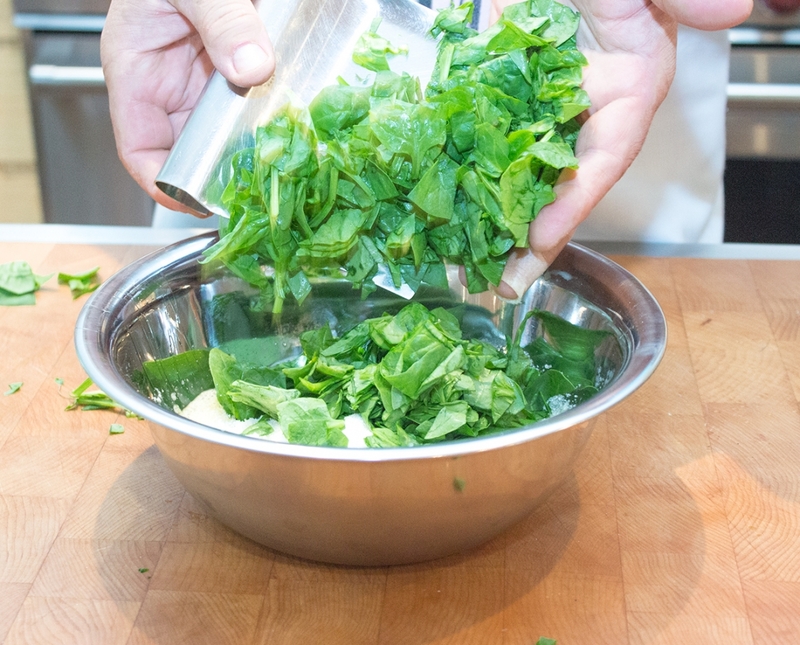 Add parmesan cheese and mix well. 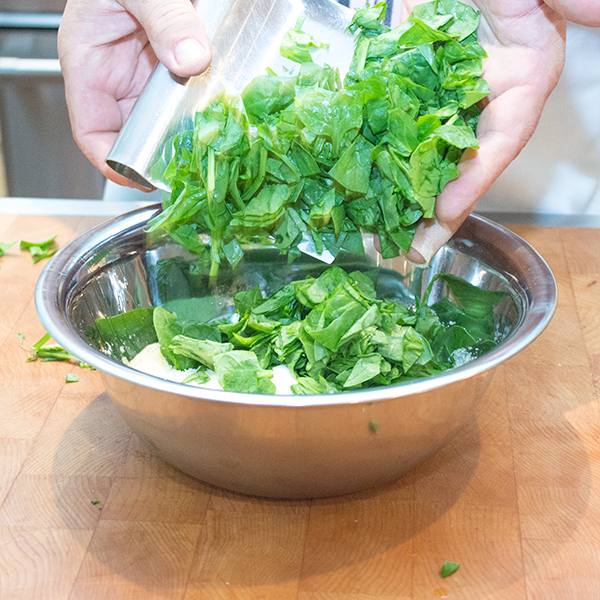 Mince spinach, add to eggs and mix well. 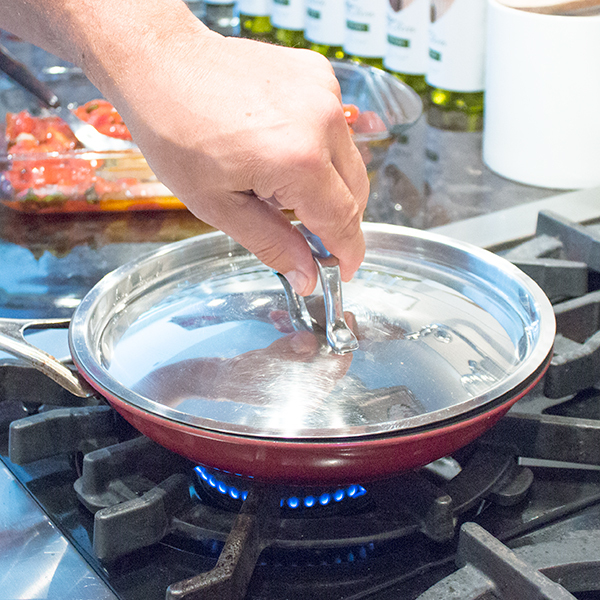 In a non a non sticking pan, heat a drizzle of olive oil over medium heat. 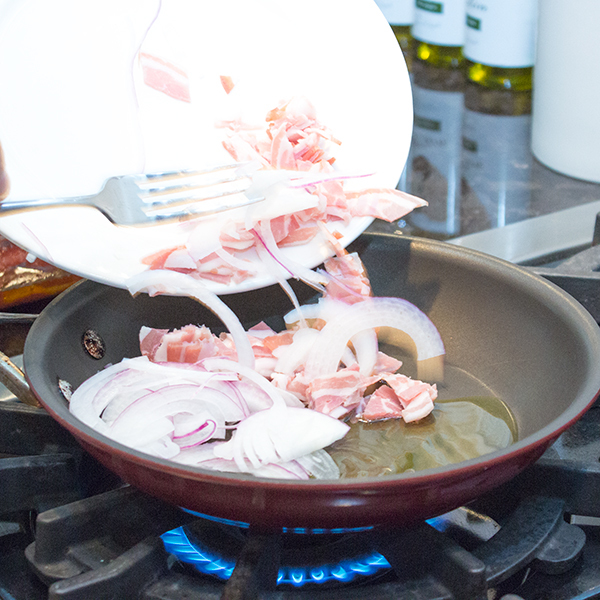 Add pancetta and onion and cook 1 to 2 minutes oven medium heat. Add roasted cherry (view recipe) tomatoes and cook 1 minute. Add egg mixture, do no mix. Cover and cook for 5 to 7 minutes. 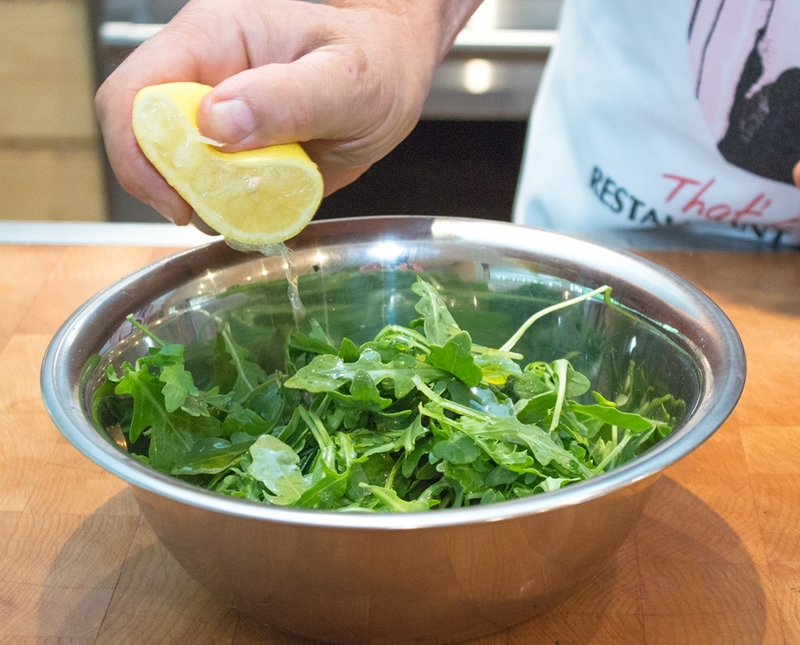 Meanwhile, in a bowl add arugula salade with the juice of half a lemon, olive oil, salt and pepper to taste and mix well. 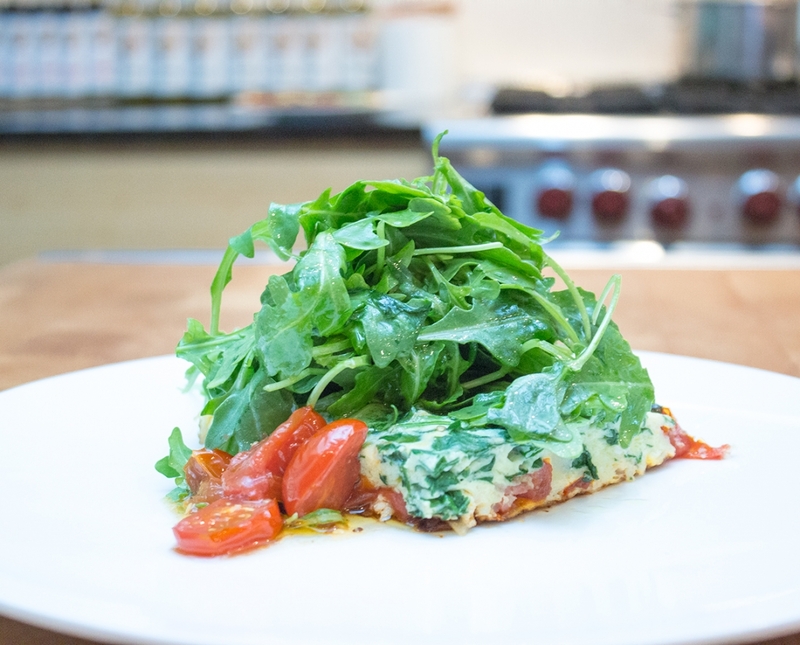 When frittata is ready, place on a serving plate. 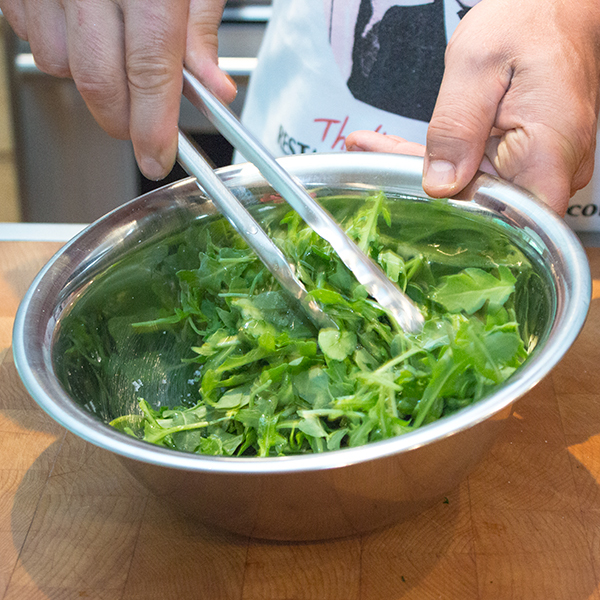 Serve in slices with lemony arugula salad. 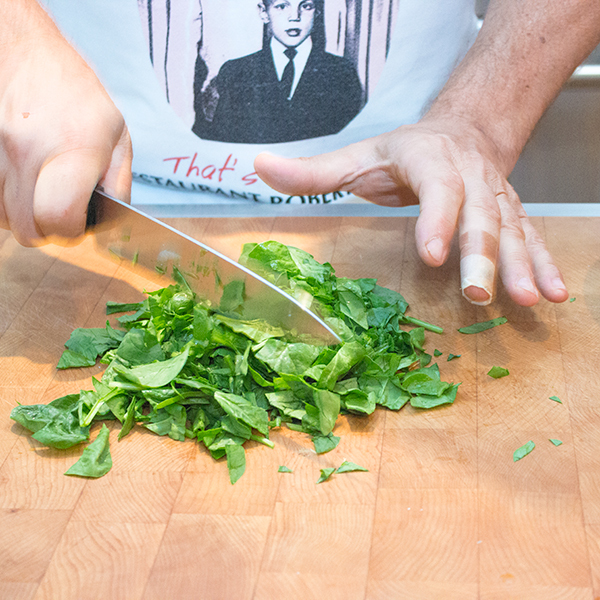 Substitute Replace la arugula salad by fresh watercress. Suggestion Vary ingredients depending on your taste. 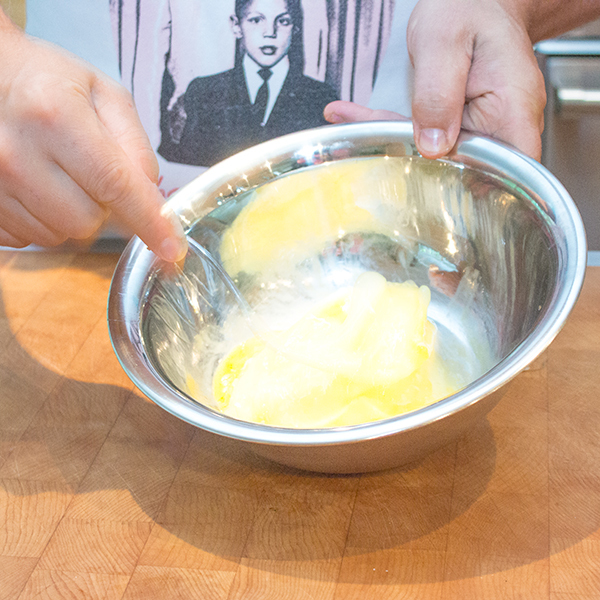 3 - In a bowl, break eggs. 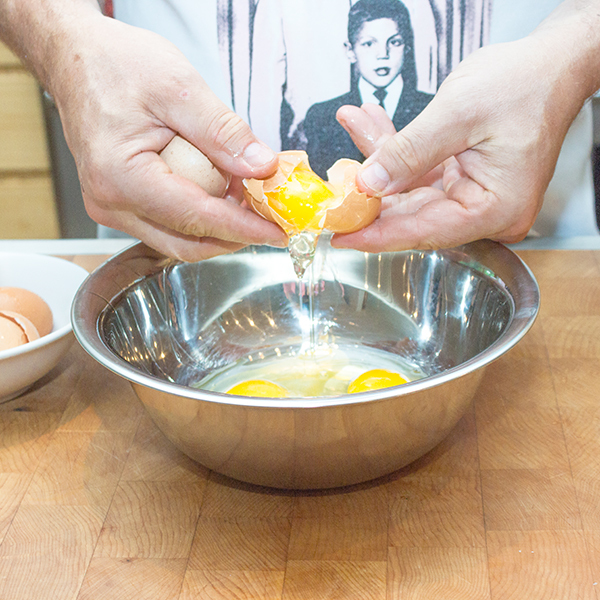 4 - Beat eggs, set aside. 5 - Add parmesan cheese to eggs and Mix well. 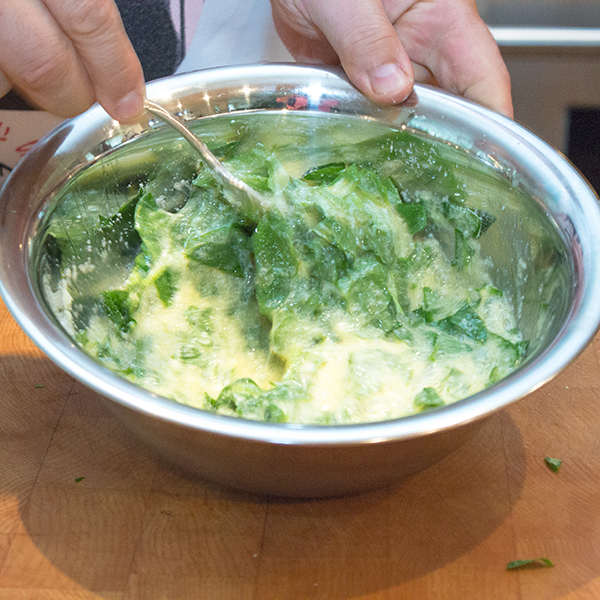 7 - Add spinach to eggs. 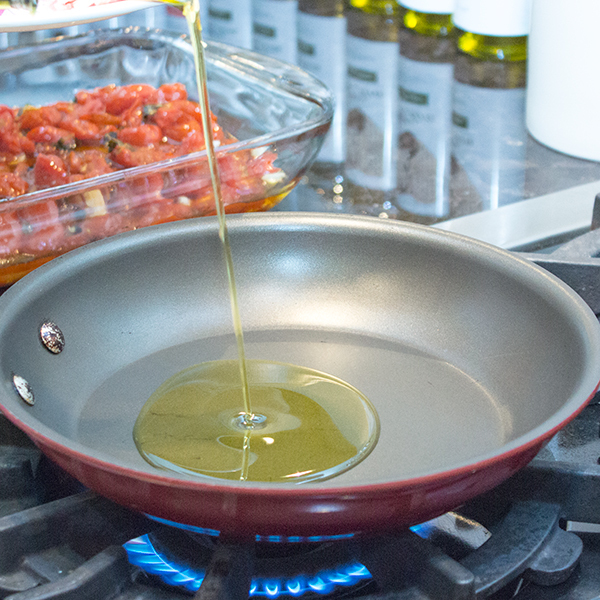 9 - In a non sticking pan, heat some olive oil over medium heat. 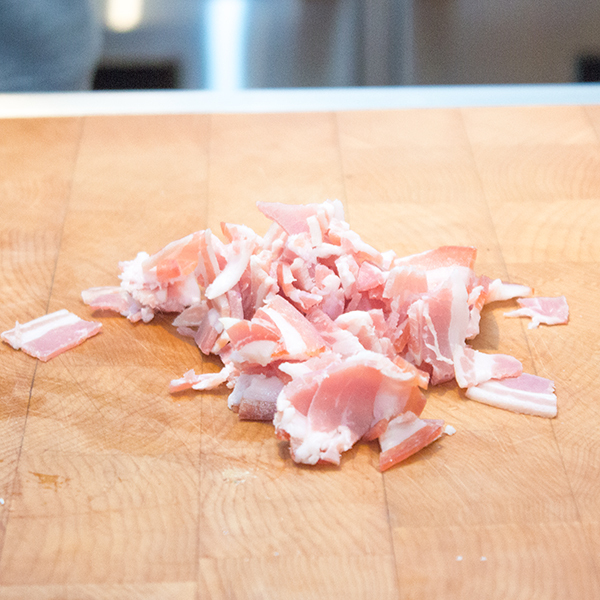 10 - Add pancetta and onion and cook 1 to 2 minutes oven medium heat. 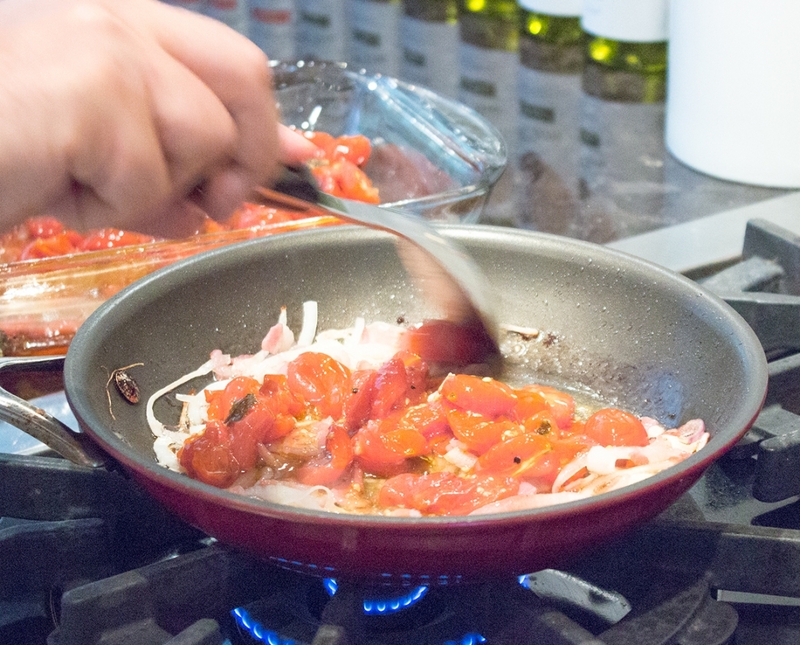 11 - Add roasted cherry tomatoes (view recipe) and cook 1 minute. 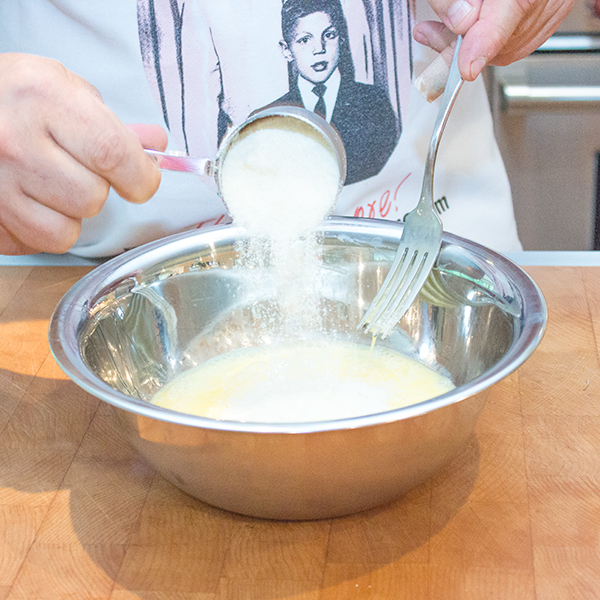 12 - Add egg mixture, do no mix. 13 - Cover and cook for 5 to 7 minutes. 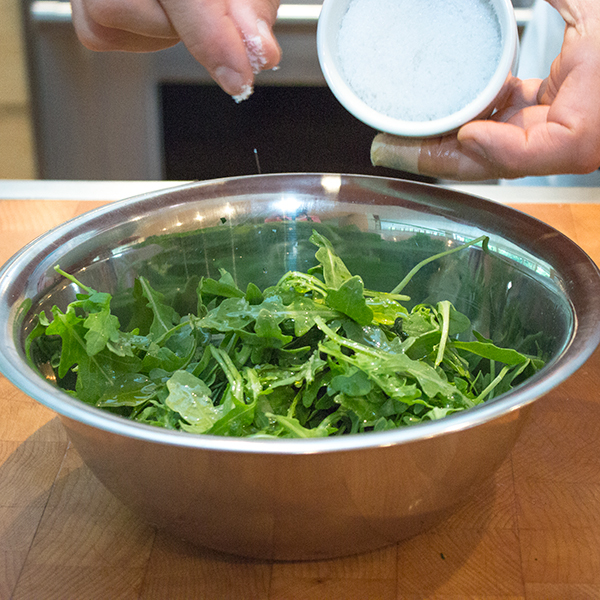 14 - Meanwhile, in a bowl add arugula salade with the juice of half a lemon. 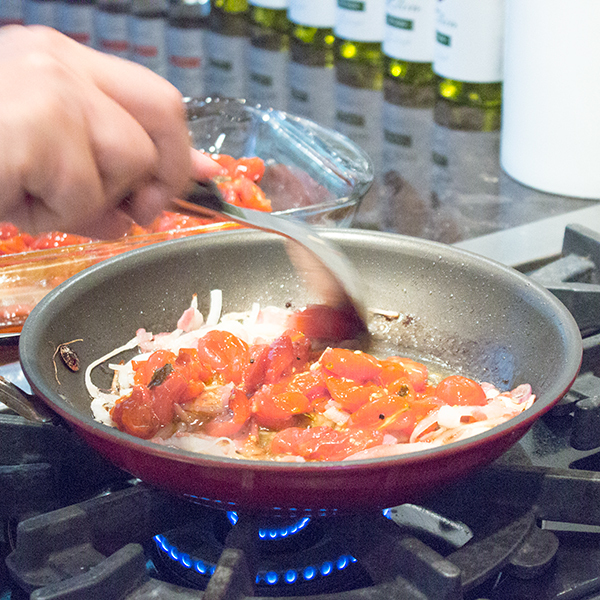 15 - Add olive oil, salt and pepper to taste. 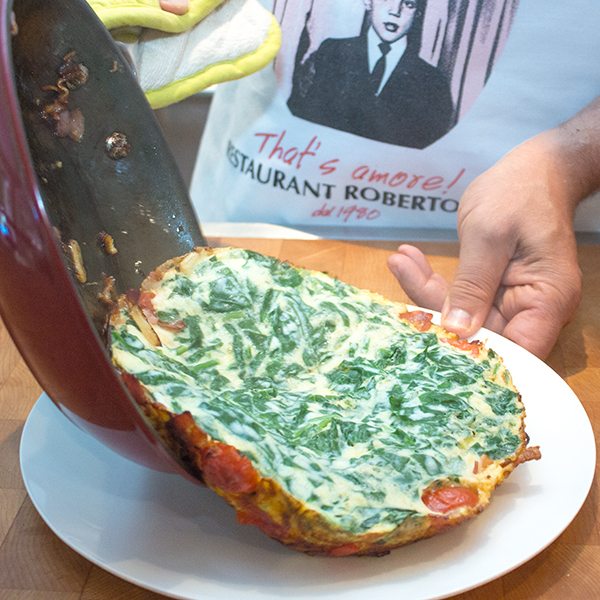 17 - When frittata is ready, place on a serving plate. 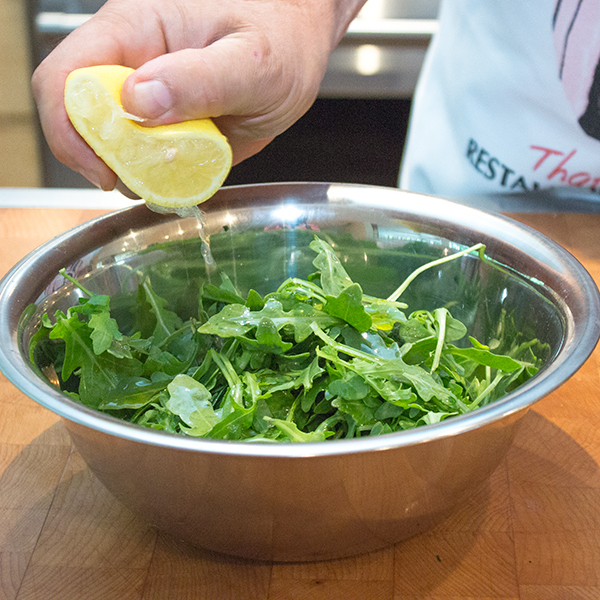 18 - Serve in slices with lemony arugula salad.